Moon Tigers Karate Academy is the junior section of Zen Shin Seicho Do. Specifically geared to younger practitioners, the syllabus provides all the excitement and guidance children look for in the martial arts. Taught responsibly in a safe environment, students learn much more than just how to protect themselves. Moon Tigers combines fun, fitness and martial arts. We believe that as well as practical self-defence skills, we will be able to deliver real improvements in strength, fitness, balance and co-ordination, confidence, focus and discipline. We are fully accredited under the ‘Safeguarding Code in Martial Arts’. The Code is designed to promote and recognise martial arts clubs and organisations who have reached and maintained excellent safeguarding standards. It also empowers parents and carers to make informed decisions when selecting a club for their child. The Mark shows prospective members and partners that the club in question has strong policies and procedures in place to protect the children, young people and adults that are involved in the club’s activities, as well as those coaches/instructors who are working with them. We are registered with the British Martial Arts and Boxing Association (BMABA) which is a National martial arts organisation that promotes participation in martial arts, regulates standards and conduct of instructors and further develops and protects martial arts for generations to come. We pride ourselves in our warm and friendly welcome and all lessons are individually targeted to enable students to progress at their own pace. The first trial lesson is free of charge. Chief Instructor, Sensei Steve Gostling, 6th Dan, has over 25 years’ experience of teaching in schools throughout London and the South East and has won numerous National and International Championships. The class runs on Friday evenings from 7.30 - 9.00 pm and is suitable for children and adults. Many parents choose to train alongside their children. No prior experience is necessary and the first trial lesson is free of charge. The programme is tailored so that students can progress at their own pace. Would you like more information on hours, classes and programs available at Moon Tigers Karate? Please contact the school with your questions. Update the details, Write a Review or Report Error of Moon Tigers Karate. This Chart shows the Martial Arts Styles offered most in West Wickham, UK area. 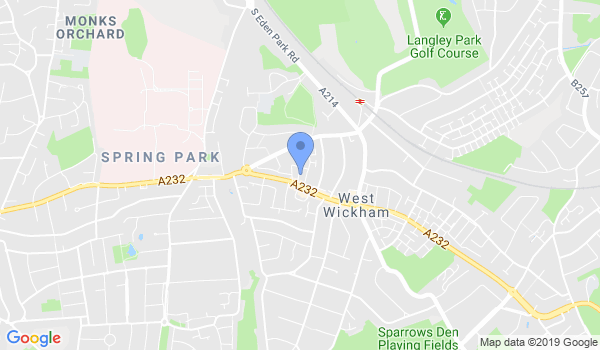 View a list of Dojo in West Wickham, or enter your address below to find schools closest to you.